06 de Enero del 2018 3:09 pm. Newest additions to Santos Gerardo Alcoba and Gallito Vazquez spent the afternoon after training with season ticket holders at "Abonofest" serving the traditional offering of Dia de Reyes. 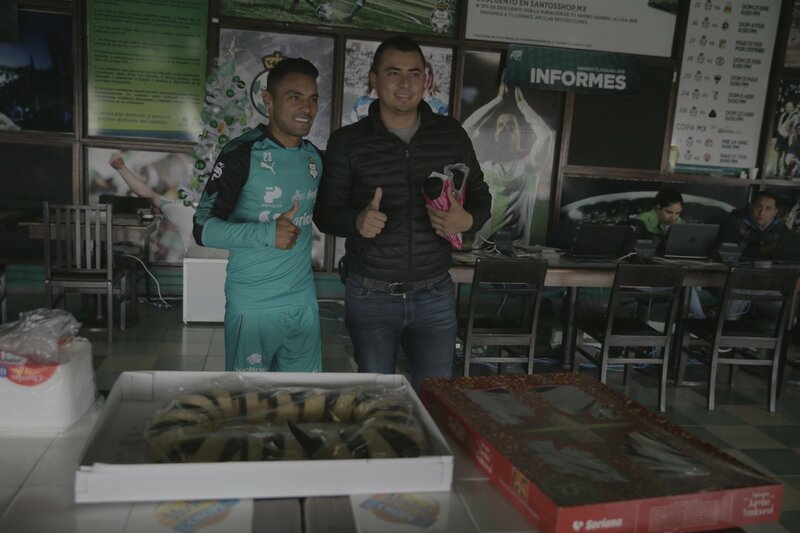 Central defender Gerardo Alcoba serves a season ticket holder the traditional "Rosca de Reyes" in TSM on Saturday afternoon. A young fan enjoys the company of Jose Juan "Gallito" Vazquez at Abonofest.